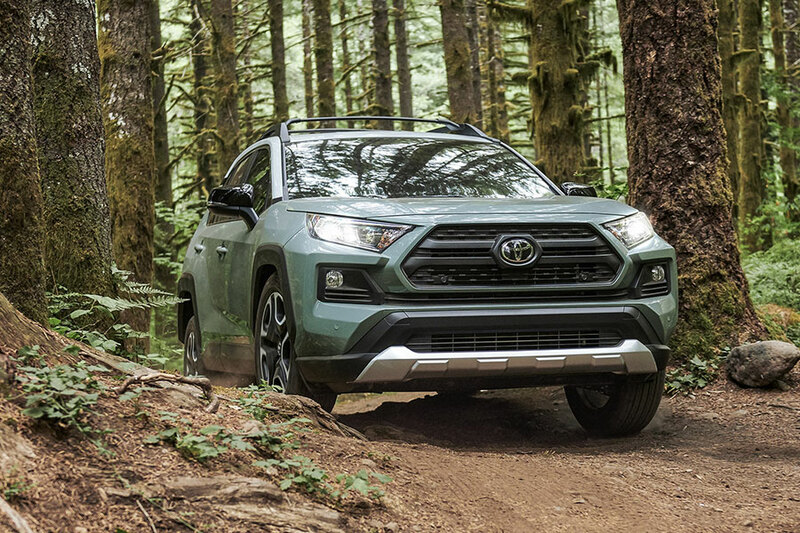 Adventure-ready and sportily stylish, the 2019 Toyota RAV4 and Honda CR-V are competing to be the crossover closest to your heart. How do they stack up? 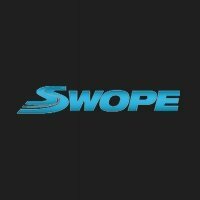 Our comparison guide takes a look. When you’re longing for escape, the newly redesigned RAV4 obliges. It’s one of the roomiest crossovers in its segment. Just throw your besties and your stuff in there and go. Every RAV4 features a 7-inch touchscreen infotainment interface and Apple CarPlay, so you can plan your ad hoc adventure as you go. You can even bring your Jet Ski along, because this Toyota tows max loads of 3,500 pounds. The Honda CR-V can match the RAV4 in terms of cargo space (37.6 cubes behind the rear seats), but not towing capacity (1,500 pounds max). If you’ve got big dreams and bigger toys, you’re going to need the RAV4. 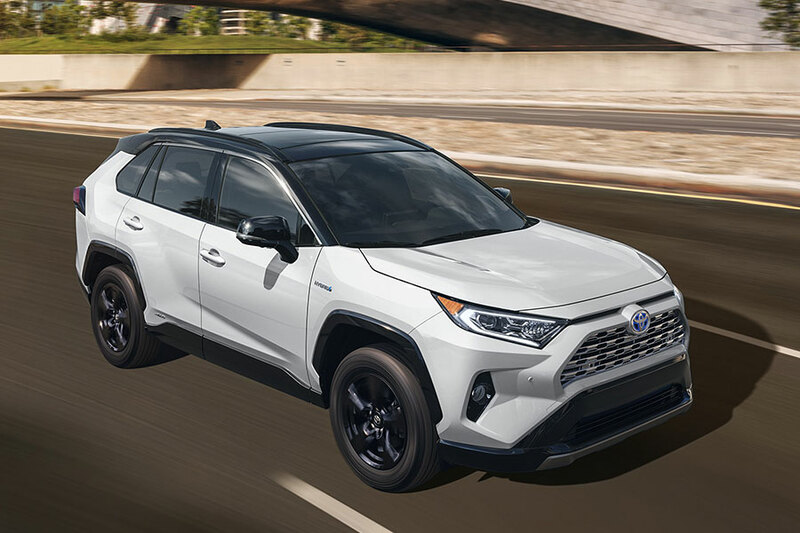 Both crossovers have comfort where it counts, but the 2019 Toyota RAV4 is the bigger style magnet. 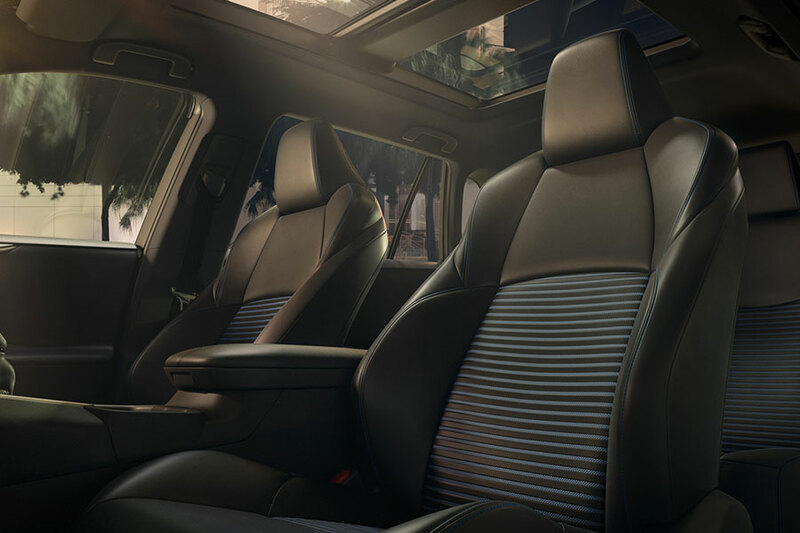 Besides being roomy and supportive, the seats are available with fun stitching patterns and colorful trim. The RAV4’s panoramic glass roof is the next best thing to a convertible, with all the breathtaking views and none of the hair mussing. The RAV4 also thinks of all the little things, serving up an intuitive storage tray and passenger shelf. You’ll never wonder where you left your favorite gadgets. The CR-V is comfy, if not quite as cool. Honda’s style features are more blasé, featuring the usual upholstery and trim colors. Also, it looks like you might have to wait for the 2020 CR-V if you’re holding out for a panoramic sunroof. Every 2019 Toyota RAV4 comes with the same engine, one that leaves both the Honda CR-V engine options to eat its dust. And, if you’re looking to impress your friends with your driving skills, the RAV4 makes you look good with its dexterous handling and sharp steering. Add all-wheel drive to stick corners with sporty precision. The CR-V is pretty good on the driving front. It’s capable and composed, so you’ll never hesitate to zoom into highway traffic. But you do have to pay extra to get the faster CR-V engine, (and remember, it’s still less powerful than the base RAV4 engine).